The Blue Beetle was supposed to be the first insect-based character of my gallery, but he became the second after I watched the documentary Superheroes: a never-ending battle, where someone explains the inspiration for the hero with two words: Green Hornet. 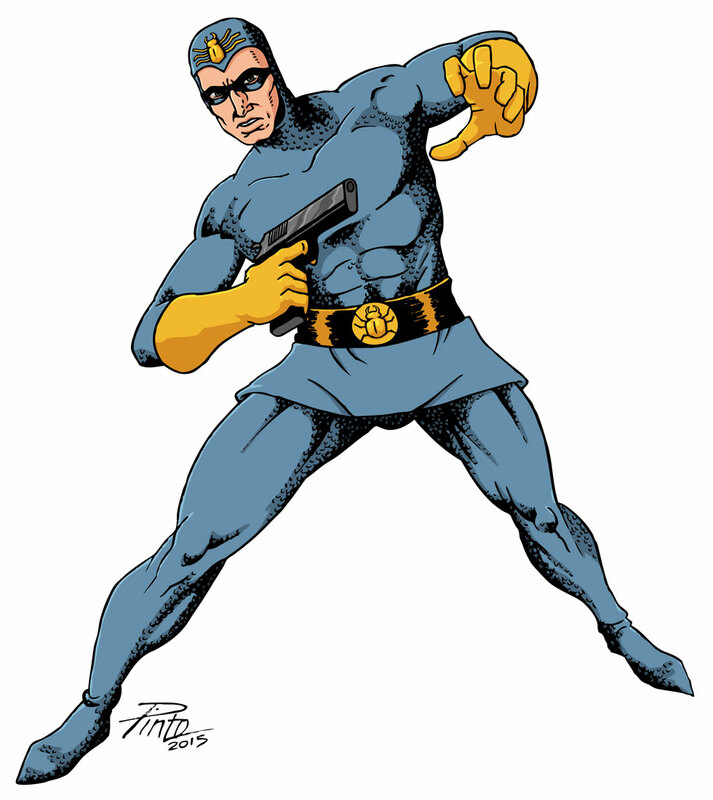 Anyway, the original Blue Beetle appeared in Fox Comics’ Mystery Men Comics #1, on August 1939. He also had comic strips and even a radio serial, none lasting long. Jumped from one publisher to another, being reformulated multiple times. The original character used a bullet proof costume and made use of a compound named Vitamin 2X that gave him super-energy. Then he had super-powers granted by a supernatural egyptian scarab amulet. After that he was a Batman-like character with lots of gadgets. And now he is a teenager that uses an alien armor. The incarnation I knew was part of the Justice League. He was most notable for being the base character for Nite Owl in Watchmen. Other than that, I never liked it so much, maybe because of the comical approach it had. The only story I really liked the hero, he decided to be a serious detective, but then he was murdered in the end. Lame.